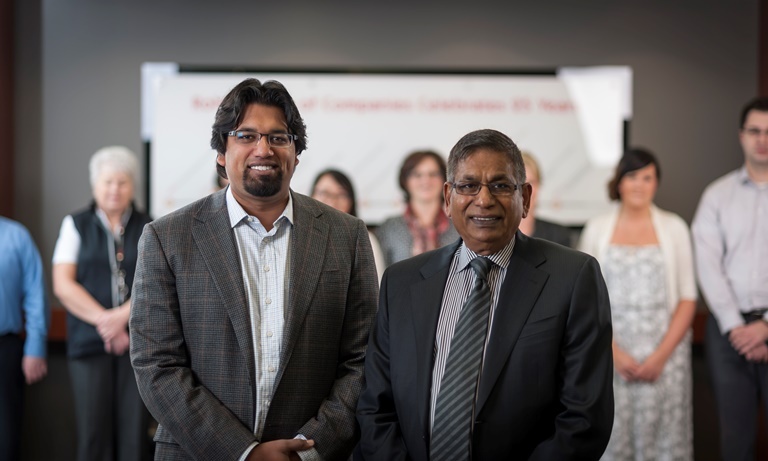 Edmonton, AB – Radhe & Rohit Gupta, the dynamic father/son duo at the helm of Rohit Group of Companies have been recognized by the Edmonton Journal as one of the City of Edmonton’s Top 30 most powerful people in 2014. We are thrilled to announce that Rohit Group of Companies Founder & CEO Radhe Gupta along with his son Rohit Gupta, current President of Rohit Group of Companies, were named by the Edmonton Journal to their Power 30; a list of the most powerful people in the City of Edmonton for 2014. The City of Edmonton is very much an entrepreneurial town. This city is filled with a large number of highly influential, brilliant, creative, and successful developers, visionaries, educators, and risk takers. In a city of almost a million, the task of selecting only 30 powerful people by the Edmonton Journal proved to be a difficult task. However, both Radhe and Rohit Gupta inherently exhibit characteristics determined by the Edmonton Journal columnists as powerful qualities, making them an obvious candidate for the Power 30. Radhe Gupta came from a humble Indian family and first started working as an engineer in the Libyan oilfields. Knowing that the oilfield life wasn’t his lifelong dream, he set out to build his very first home in the early 1980’s in Edmonton. With an entrepreneurial spirit, a strong work ethic and the determination to succeed Radhe, along with his wife Krishna, steadily started to grow their real estate business. Radhe’s core values of quality, innovation and perseverance became the foundation for Rohit Group of Companies which has grown from building homes into a diversified organization with complimentary interests in residential and land development, commercial assets and real estate lending. While growing the business Radhe quickly realized the need to develop strong relationships with his partners and members from the community, an important business lesson that Radhe has passed down to his son Rohit. Today the organization focuses on serving all of its stakeholders – customers, employees, suppliers and financial partners. 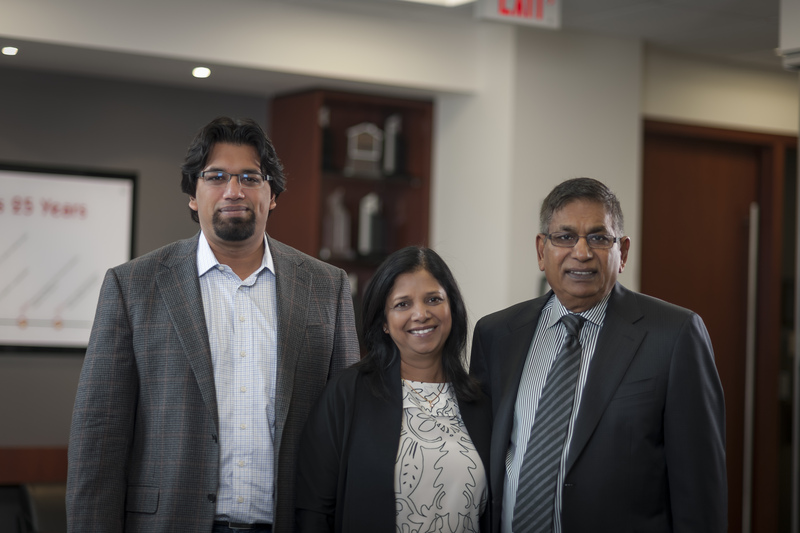 It is that kind of attitude that has brought Edmonton-based Rohit Group of Companies so much success over the past 25 years. This year, Radhe also won one of the most prestigious awards for entrepreneurs, the Ernst & Young Entrepreneur of the Year Award in Real Estate and Construction, reaffirming his selection as part of the Power 30. Gupta’s son Rohit has more than lived up to his role as the company’s namesake. Working in every aspect of the business for more than a decade, Rohit learned on the frontlines everything from construction to strategic financing. Rohit’s strengths are in creating new opportunities and identifying unintended consequences. He also has a powerful and ongoing commitment to give back to the community, to make the organization an institution that is respected for the way it conducts business, a leader in real estate, and a contributor to the world beyond the organization itself. Rohit Group of Companies is an innovative company shaped by diversification. Divisions of the Edmonton-based Rohit Group of Companies includes Rohit Communities – an award winning developer and builder of new homes in Edmonton, Rohit Land Development, Rohit Commercial, Rohit Capital, and their fundamental initiative Rohit Charities.